THE Scottish Parliament has voiced its disapproval of Scottish Government plans to allow local authorities the discretion to switch their public notices from newspapers to the internet – thus potentially saving local authorities millions of pounds, but also risking the financial viability of some newspaper titles. It follows a debate (essential viewing) yesterday morning, which considered a motion from Labour MSP, Pauline McNeill. After two hours-plus of discussion, MSPs voted in favour of the motion – as amended with input from Tory MSP, Ted Brocklebank – by a margin of 76 to 48: in other words, all SNP MSPs voted against, while everyone else voted for. It will leave the Scottish Government now wondering whether to risk placing the proposal in front of Parliament for a formal vote for or against. 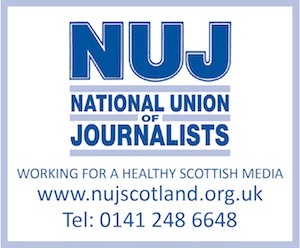 Said Jim Raeburn, director of the Scottish Newspaper Society: “The vote, with all four opposition parties supporting the Scottish newspaper industry, is a pleasing result. The Scottish Government should accept the Parliament has spoken and now withdraw its sham consultation about electronic publication of local authority public information notices as an alternative to newspapers. “Given that market research carried out by [broadcasting regulators] Ofcom showed that nearly 10 times as many people in Scotland use newspapers than they do the internet as their main source of information about their local area, we believe that the Scottish Government’s proposal is flawed and will undoubtedly lead to greatly reduced scrutiny and therefore accountability for local government announcements and actions. “Moreover, 40 per cent of households in Scotland (60 per cent in Glasgow) do not have a broadband connection.